Pipe leaks harbour a great potential of risk for buildings and their facilities. Even minor leakages can lead to serious damage and expensive repairs. Valuable or costly inventory is equally at risk. Whether in residential, office or industrial buildings: pipes containing liquids always pose potential hazards. BRANDES FluidGuard® systems detect, locate and report each leak immediately as soon as it occurs. 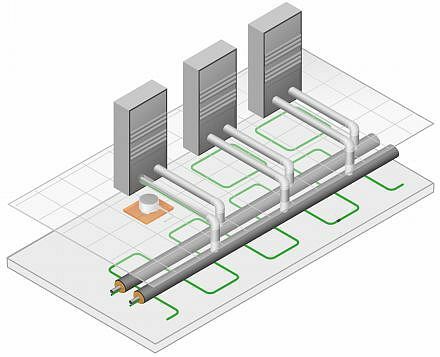 BS-FluidGuard® systems visualise the leak location and instantly trigger security-related actions. For maximum operational safety and optimal adaptation to individual requirements, FluidGuard® enables two levels of monitoring.